This poem was inspired by one of the many hikes and explorations of Northern California my friend Greer and I have enjoyed over the years. 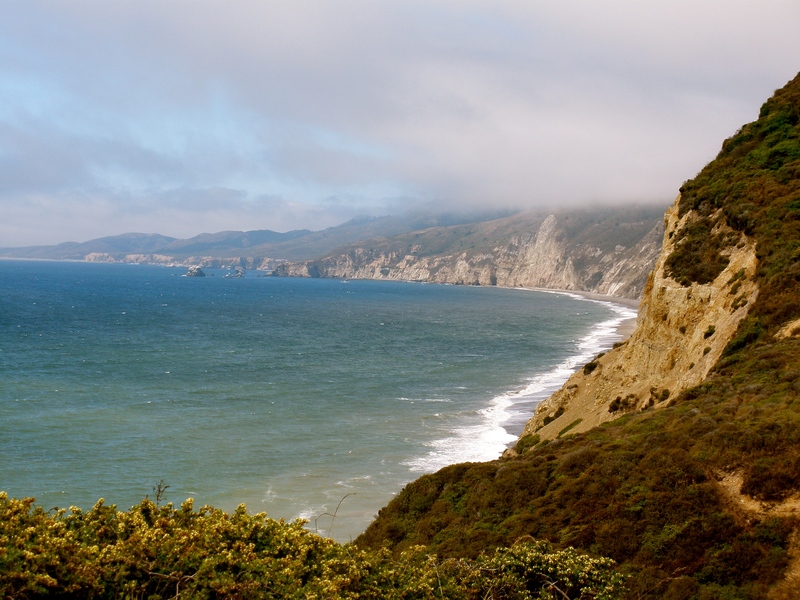 Point Reyes is a spectacular place to go hiking. They also have a very affordable hostel, which costs a fraction of what the inns and bed & breakfasts charge. It also makes for fantastic star gazing on a clear night, since it is somewhat isolated and removed from civilization. Last year I entered this poem in a contest, and it was selected for publication in the Oasis Journal 2014. This is an annual event for writers over fifty. The book contains stories, poems and essays. Needless to say, I was super excited to have my poem in this book. Knapsack packed and ready to go. 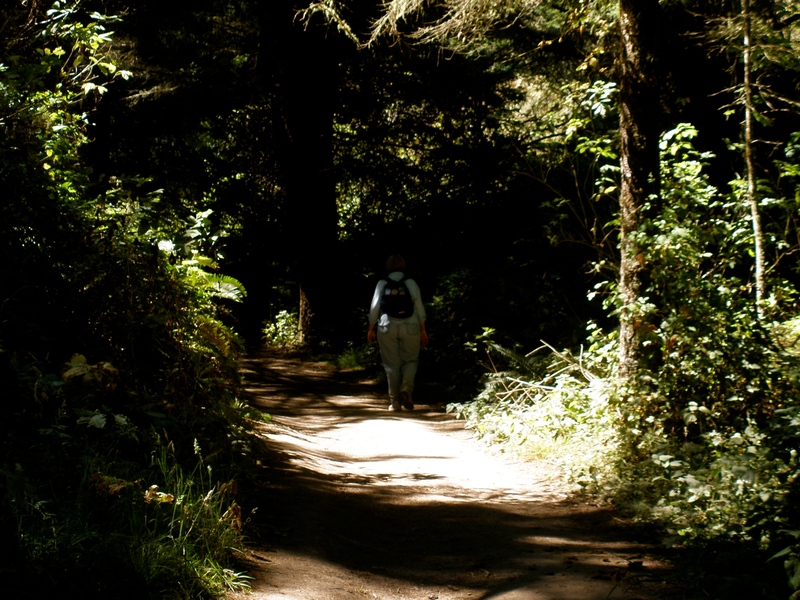 She smiles, her favorite hike at Point Reyes is awaiting. Tall lanky pink foxgloves are in bloom. A steady breeze is blowing. He has been tagging along the entire time. She is glancing at him, hiking alongside her, as if they’re best of friends. A peaceful, tranquil silence floats through the air. Silently she wonders what he is gabbing about. She turns around and smiles at him. His dark eyes gazing at her, then following her descent to the beach. Suddenly he is sitting beside her. His lips are still moving. She is handing him a note. Staring at her in disbelieve, his lips now no longer moving. Lovely start to the day. Did you get a copy of the publication? Steppidy Do Dah! Nice coverage as usual. Thanks! It’s a beautiful area to hike, reflect and spend time with a good friend. Thank you! I had fun writing it and then putting it all together. Congratulations on the success of your poem that is filled with nice sensory words. Thanks, it’s the only way to describe such a beautiful spot. Love the sly humor – congrats on Oasis! Thanks! It was fun writing and getting into Oasis.